Only 2.5 percent of the Earth’s water comes from fresh-water sources, making it a scarce commodity. Of that fresh water, the agriculture industry consumes 69 percent of it. Lack of water, especially in areas experiencing frequent drought, creates an increasing threat to farmers across the globe. That’s why many take action to implement water-saving techniques into their businesses. The following six tips showcase ways farmers can maximize their water usage. Drip irrigation delivers water directly to a plant’s roots, either through a line above the soil’s surface or buried beneath the ground. This type of water delivery system cuts out the unavoidable overspray and evaporation that occurs with more traditional irrigation methods, like sprinklers. When properly installed, drip irrigation is 90 percent efficient, conserving more water and helping produce more crops. Water conservation isn’t just about how you deliver water, but when. Most farmers closely monitor their crops to avoid under or over-watering. They also take into consideration the weather, soil and plant moisture. 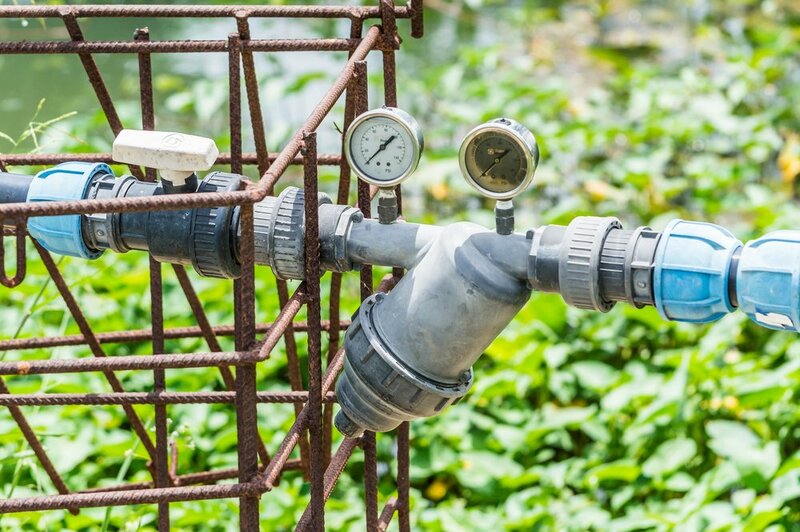 Certain types of irrigation systems, such as drip irrigation, can be scheduled with software, allowing you to create an easy schedule and let the computer handle the rest. Soil can play a crucial role in the amount of water a farmer uses. Soil is the component that absorbs and transmits water for crops to use. Fortunately, farmers can do a lot to change and optimize their soil, especially when quality is substandard. One technique farmers may consider is conversation tillage, a method which uses specialized plows to partially till the soil. This allows for increased water absorption and reduces evaporation and erosion. Compost and mulch, when used as a fertilizer, can also aid in conversation by increasing the soil’s water-holding ability. Remember, the techniques that work best will depend entirely on the type of soil you work with. Permaculture farming is a sustainable farming practice centering around the idea that humanity can live in harmony with nature. Permaculture farmers strive to banish all types of waste, including pollution, energy waste and water waste. With the growing threat of water scarcity to agriculture, many farmers choose to implement these ideas. Many permaculture methods center around conservation, such as building swales on contour, designed to reduce the need for additional watering by holding water on the landscape. This type of design can also help restore aquifers. One way to save millions of gallons of water is to avoid runoff. Runoff is caused by a number of factors, including overwatering and poor soil. Not all runoff is avoidable, which is why recycling water can be a great way to save. Many farmers hold the recycled water in areas like constructed ponds, designed to keep on-hand for use at any time. Rotational grazing is a practice used by farmers that involves moving livestock between fields. This allows cows and other animals to move from field to field, grazing from certain pastures while the others are left to rest. Maintaining a rotational grazing schedule, or rotating livestock as needed, helps increase water absorption and decrease runoff, promoting regrowth. It also provides resistance against droughts. Lack of water is already a major concern for farmers across the globe, including developed countries. With the rise of climate change, many believe access to fresh water will continue to diminish. Some farmers fear impacts could include rising temperatures, unpredictable rainfall and an increasing number of droughts. From drip irrigation to soil management, farmers have already started taking action to converse water and utilize efficient methods in their businesses.